The Steel Deck Institute (SDI) released the first edition of its Steel Deck on Cold-formed Steel Framing Design Manual, outlining the unique elements of design and usage of steel deck on cold-formed steel framing in compliance with the 2018 International Building Code (IBC). 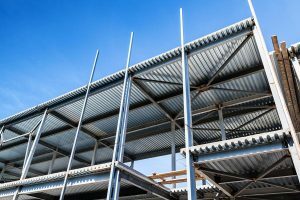 Though similar to deck supported on open web steel joists or rolled beams, there are distinct, critical differences between this design and usage and that of cold-formed steel framing. SDI’s new manual includes applications for steel floor and roof deck, illustrated through extensive commentary and design examples.